The 23rd ADU Citizen Scientist Day was held at the BLSA Centre Wakkerstroom on 17 September 2016. 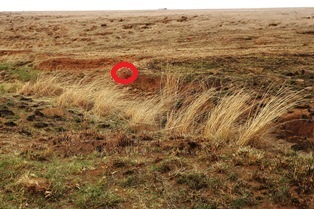 On Friday afternoon, driving with Peter and Sandra Greaves, we surveyed the weaver nests along the R35 Bethal to Morgenzon, to Amersfoort and to Wakkerstroom. We found 7 colonies of 1 or 2 old nests on barbed wire fences and 4 colonies of 1-3 nests in trees. 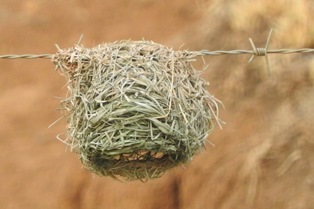 The fences provide new nesting sites for Southern Masked Weavers in grassland areas. On Saturday there was an early morning ringing demonstration for attendees. Rina Pretorius, Arjen van Zwieten, Sylva Francis (with Bradley Gibbons) and myself caught birds around the BLSA centre. 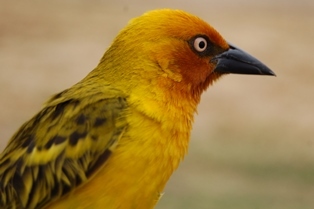 The Cape Weaver males have much more orange on the head than those in Cape Town. 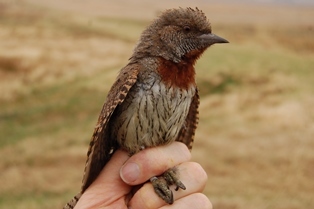 One of the highlights was a Red-throated Wryneck. The Wakkerstroom Bird Club provided teas and a great lunch! After lunch Peter Greaves ran a workshop on how to contribute to the Virtual Museum, and it was very well attended. In the afternoon some of the ringers set up nets at the Amersfoort bridge in Wakkerstroom. The next morning some of the ringers again set up nets at the Amersfoort bridge in Wakkerstroom. 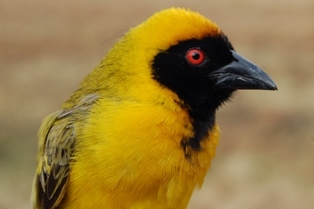 A large number of Southern Masked Weavers were caught. 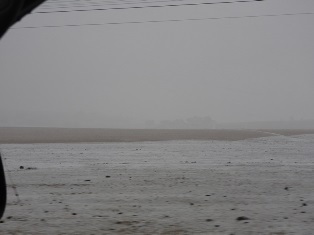 It was freezing cold - Brian's thrmometer showed 4C! Brian and Brenda brought hot coffee which saved us from the cold. In addition to many Southern Masked Weavers, there were a few Fan-tailed Widows but the males of the widow were not in breeding plumage yet. There were a few recaptures: BH65106 was recaptured by Rina at the Bridge - I had ringed it here as an immature male Southern Masked Weaver on 20/03/2010, 6.5 years previously. 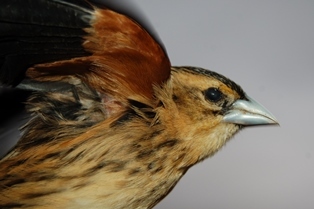 There were also 3 Southern Masked Weaver retraps from 2012 and one from 2016 January. 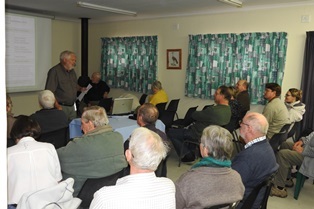 BirdLife Northern Natal invited me to speak on Bird Migration in Newcastle on 19 Sept. 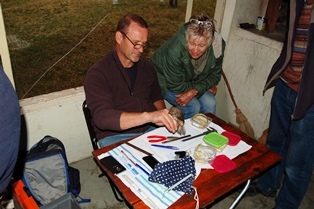 Thanks to the Wakkerstroom Bird Club for a really well organised Citizen Scientist day! Special thanks to the hopsitality of Brian and Brenda Guerin. Thanks to BLSA for the venue. Thanks to the speakers and participants from KwaZulu-Natal (Ladysmith, Dundee, Newcastle), Mpumalanga (Wakkerstroom, Standerton, Nelspruit) and Gauteng. Thanks to the ringers for persevering in the cold.